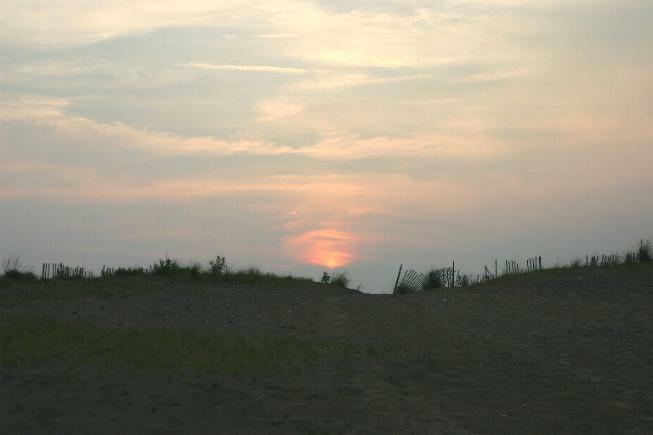 These digital images were taken between May and July, 2006. Now we are six... a portrait of Thalia on her sixth birthday, 13 May 2006. This was the second of two parties she had that day, the first at the Dinosaur Choo-Choo Express with friends and the second at our humble Ellison Park home. 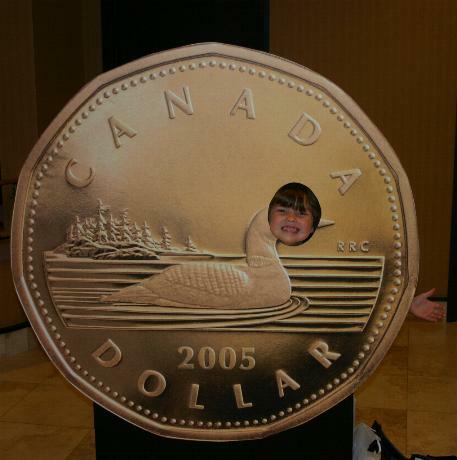 Playing the part of a loon on a very enlarged Canada Dollar Coin! 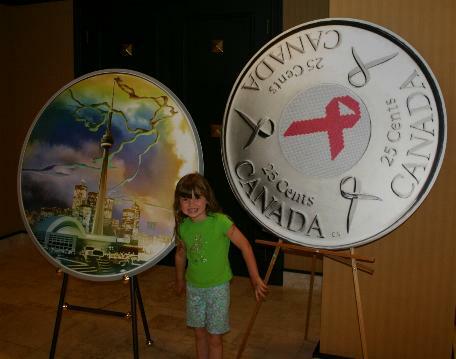 This was at the Canadian Numismatic Association's National Convention in Niagara Falls, Ontario, 22 July 2006. And showing off two other offerings from the Royal Canadian Mint (also very enlarged to show detail!). The "Pink Ribbon" quarter on the right was sold this year to raise money for cancer research. And how about that dramatic depiction of Toronto on the left! 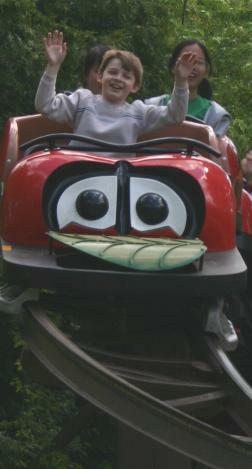 Kieran and roller coasters... specifically, the one at Marineland, Niagara Falls, Ontario... the smiles say it all! 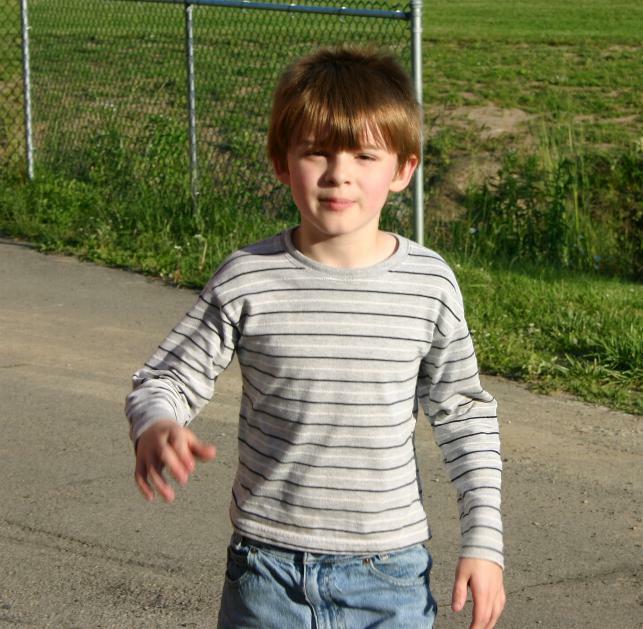 The previous shots of Kieran were taken on 20 May 2006, the opening day of Marineland for the season. The next day was pretty wet and dreary, but we were already there, and the kids almost had the place to themselves! 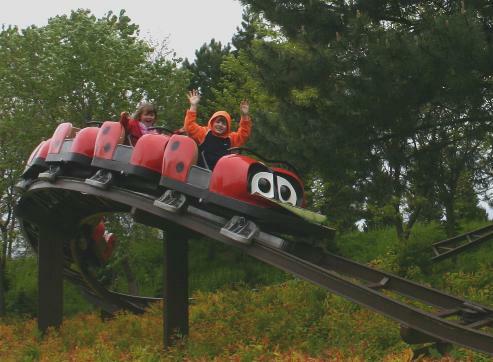 Part of this escapade was eight consecutive rides on the childrens' roller coaster, four of which were just for them. As you can see... Fortunately for the park, perhaps the most family-friendly one we know-- would you believe you can bring in your own food?! ?-- the next visits found the place considerably busier. Permit me a bit of pride... 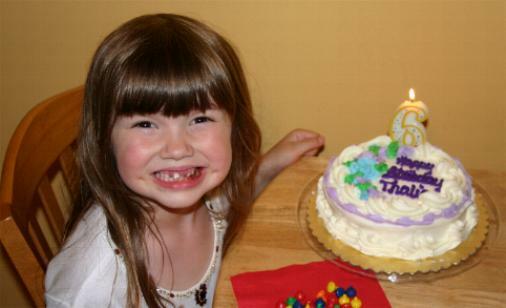 I just love this photo of Thalia. 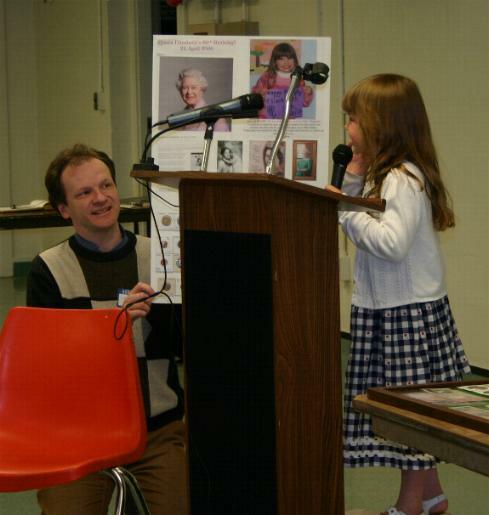 Taken at her "bridging" ceremony, at which she crossed over from being a Daisy Girl Scout to a Brownie, 15 June 2006. 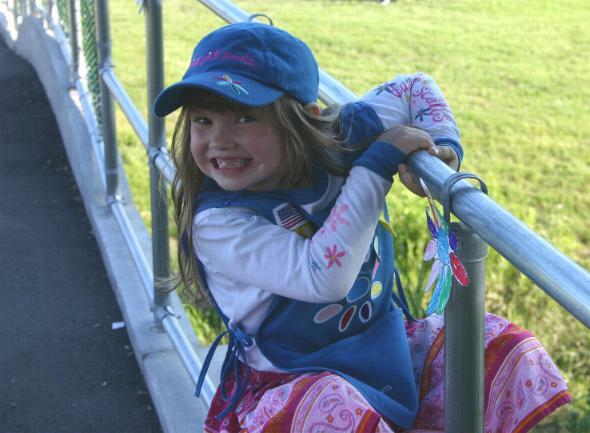 Start queueing up for those Girl Scout Cookies! Kieran, with "long" hair-- well, for him, anyway!-- on the same day. 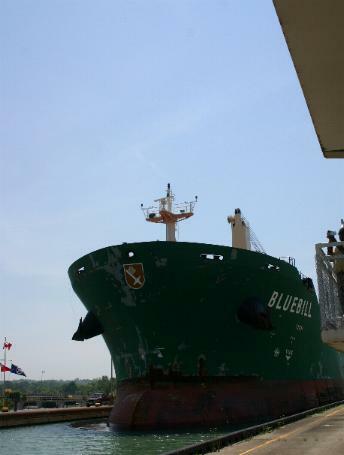 So, how many of you can say that you've been on the Welland Canal? This is the view from a passenger ferry that shuttles people across at Port Robinson, where there was once a bridge. 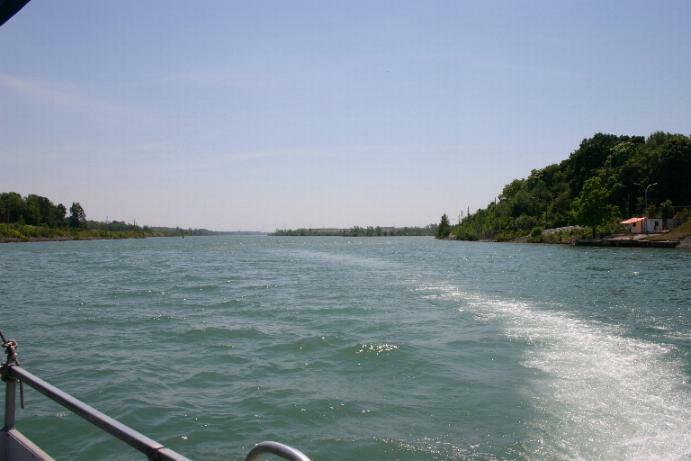 Normally the Welland Canal is used for commercial ships and boats that need to cross between Lakes Erie and Ontario without going over Niagara Falls. When I found out that there was a way for us to travel on the canal, I couldn't resist. 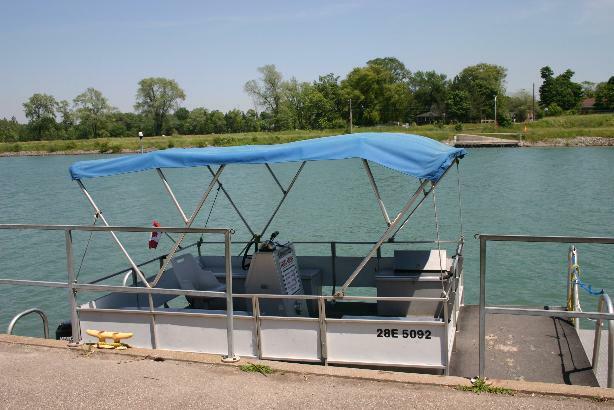 Oh, and here's the passenger ferry in question. Our understanding is that this is the only ferry of its kind anywhere on the Great Lakes and St. Lawrence system, and possibly in the world. You can see the entire travel distance in this shot; look for the landing on the other side of the canal just to the right of the blue covering. We thought it was really cool! So do the local residents; they aren't willing to give it up either! 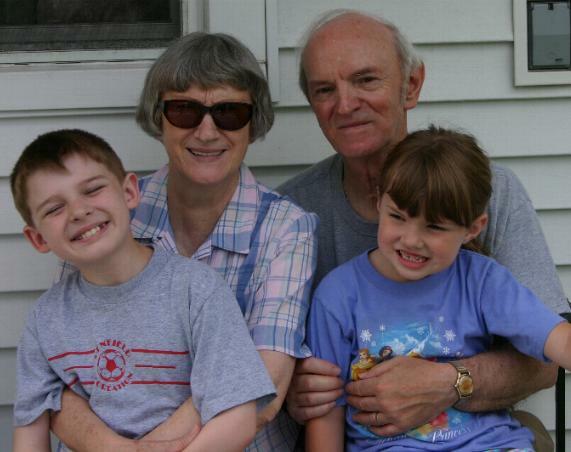 A family portrait: Kieran and Thalia with their paternal grandparents in New Jersey. Whee! 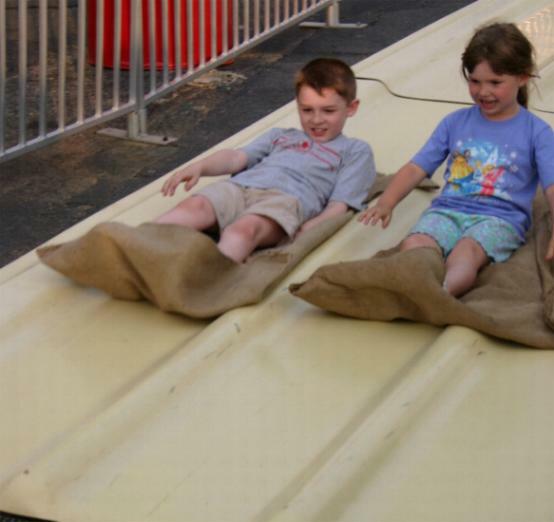 The end of one of several runs down the Super Slide at Keansburg Amusement Park in New Jersey, 3 July 2006.